Many people consider their car or truck to be their pride and joy – their passion. You can tell by the way they care for their vehicle: the constant cleaning, polishing and maintenance to ensure it is always in immaculate condition. Others consider the vehicle an essential part of their lifestyle. The reality is the vehicles have become a necessity in our daily life. 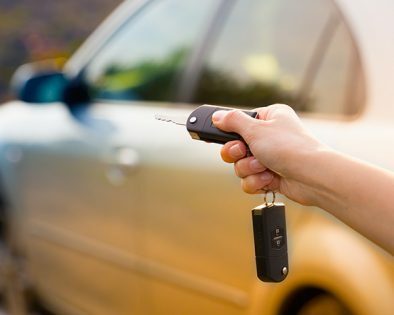 Edmonton is experiencing an upsurge in theft of and from vehicles. Please take the time to read this and perhaps stop criminals from stealing from your vehicle or just plain stealing your vehicle outright. As vehicle owners we have an obligation to ensure all precautions are taken to make our vehicles difficult to steal. Don’t assume new vehicles are the only targets – older vehicles are also desirable. No vehicle or anti-theft device is 100 percent theft-proofs. Discouraging thieves is not an easy task. The more difficult your vehicle is to steal, the more time it takes to be stolen. By making your vehicle a tougher target the thief will probably move on to a car that is easier to steal. Vehicle theft is a serious crime. It directly affects more citizens and crosses more jurisdictional boundaries that any other crime. The Edmonton Police Service cannot solve this problem alone. The community must help in reducing the number of vehicle thefts.